Batroun has always been known for its avant-garde nightlife scene, back when Monot was what Mar Mikhael is today, Batroun’s clubs were full to the brim. The past few years though, the clubbing scene in the north has been somewhat stagnant. 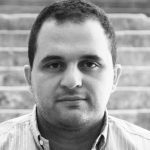 This is why ODD’s opening this summer season promises to inject some life back into Batroun’s clubbing scene. ODD is a rooftop club next to where Pierre & Friends is. 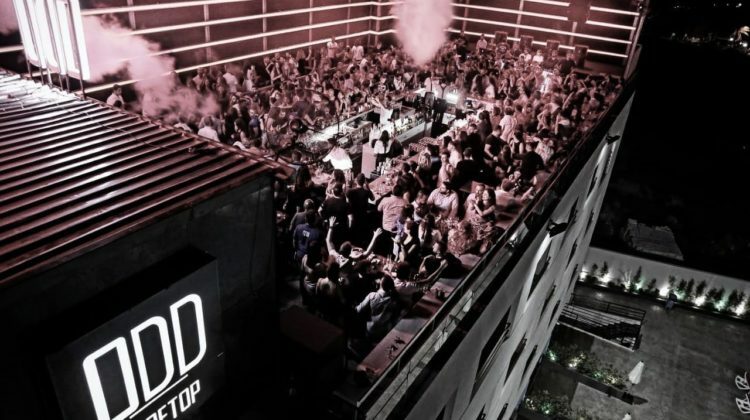 Rooftops and Lebanese clubbers is a never-ending love story, and rooftops from Beirut, to Karantina, Dbyahe, Jounieh, Jbeil and all the way to Batroun are opening up for the summer. ODD is hands-down the best rooftop club in the 06 district, and shares the same iconic view you see when swimming in one of Kfaraabida’s many beaches. I went there last weekend to celebrate a friend’s birthday, and I had a blast. The view was definitely one of my favorite attributes, the club’s set up and production was also grand. The music is a fusion of Arabic and Western music, but luckily, the Arabic part wasn’t too much, which was perfect for me and anyone who feels like a night out of dancing, singing along and having some drinks with friends. Apart from DJs, there’s live entertainment and several shows throughout the night, which for me adds a lot of value to a club. Best part is, there’s no arguileh, and I was told they will have a food menu ready soon, although I’m not sure who wants to eat while clubbing, but hey, why not a few starters to help delay the tipsiness? I personally miss clubbing in Batroun. No traffic, no checkpoints and plenty of places to park without paying a valet your kidney. 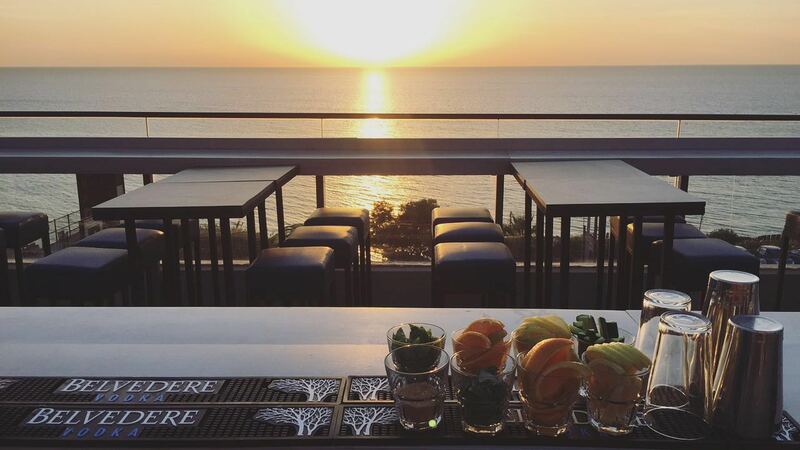 I highly recommend you head to ODD for sunset drinks after a day at the beach, or a legit party after spending the day exploring the beautiful ancient city of Batroun. 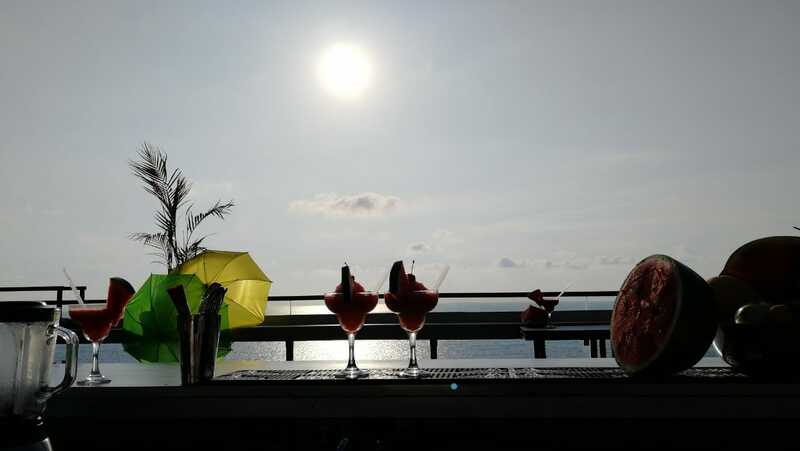 When I was there, I asked them about sunset drinks and they told me it will kick off on June 10th. I’ll be going again in the coming weeks, and will be sure to share photos and videos with you all! The party starts around 10:30PM.